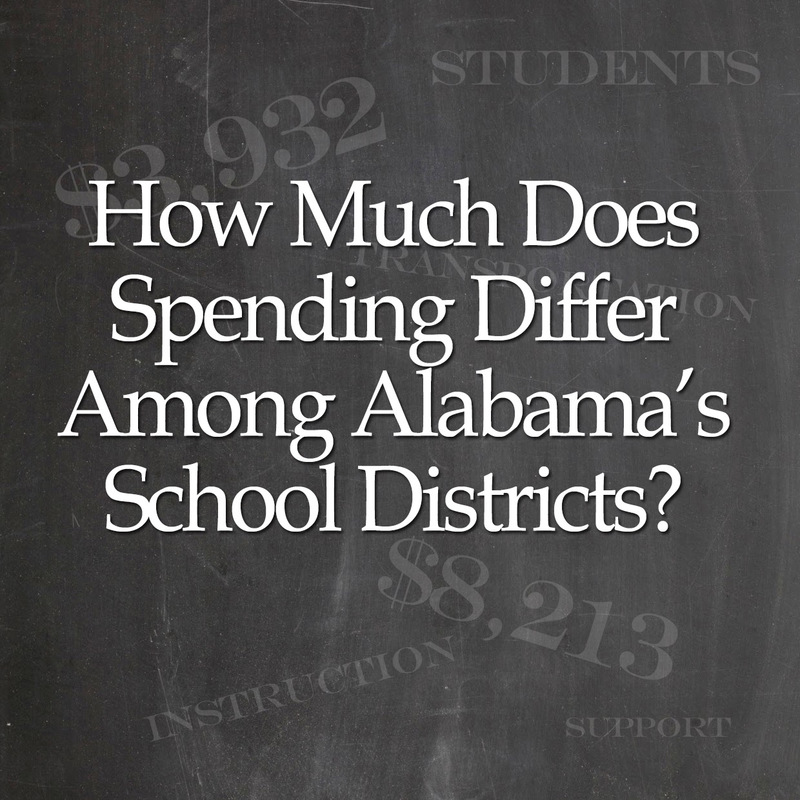 Alabama School Connection » How Much Does Spending Differ Among Alabama’s School Districts? Last Thursday, we heard the preliminary findings from the school funding study commissioned by the State Board of Education. There is so much to say, it is hard to know where to begin. 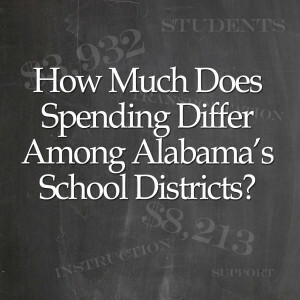 Over the coming weeks and months, we will take a verrrry close look at how Alabama’s school districts spend money. The toughest part is putting these numbers together in an easily digestible form. Let’s look first at spending per pupil during the 2012-2013 school year. All spending data was obtained from the ALSDE. Instruction: Includes all expenditures dealing directly with the interaction between teachers and students. This does include expenditures for athletics, band, and school clubs. Instructional Support: Includes services or activities providing supervision and/or technical and logistical support to facilitate and enhance instruction. This includes local school administration. Operations and Maintenance: Includes expenditures to keep the schools open, comfortable and safe for use and keeping the grounds, building and equipment in effective working condition and good state of repair. Transportation: Includes expenditures for keeping the school transportation program up and running, including co- and extracurricular activities. These definitions were taken from the Alabama State Department of Education (ALSDE) Budget Hearing Glossary of Terms. Categories of spending not included are Food Services, Capital Outlay, Debt Service, Administrative and “Other”. Food services are mostly covered by federal revenues. Capital outlay and debt service vary widely from year to year and are tough to examine in a one-year snapshot. Given the number of amazing ways Tableau can display data, it seems a basic table is almost unworthy of placement. Having the ability to choose which school districts you wish to display makes this a useful way to interact with the data. Take a look. Click around. And then let me know what you want to see next. Trisha, I use this site as a reliable reference, not as often as I should, but knowing when I want or need information on my Macon County School Board, no sense in Goggling, I come straight to your sight! I applaud you for your dedication and personal sacrifice to keep us informed of what those in Montgomery do not want us to know. I share with you my letter to the editor in today’s The Tuskegee News, http://www.frankdillman.com/political/maconcounty/docs/school-board/Tuskegee-response-to-Mary-Hooks.docx. Keep up the fight for every taxpayer and student in Alabama. I would love to see a more detailed number for how much money is spent on administration (any school expenditure that is not classroom, teacher, student, books specifically). My guess is that most districts are extremely top-heavy. Can you add the total per school to this chart? Alabama School Connection Where would one be able to locate the detailed reports for school districts that you reference here? Frank, I am so glad to hear from you! Thank you for your kind words. And thank you for sharing your letter to the editor in The Tuskegee News. This is exactly the type of advocacy I hoped the information provided through the Alabama School Connection could inform and support. Your web page documenting your efforts to collect this information is powerful. I plan to share it on the ASC facebook page as a fine example of citizen advocacy. Wow. I am blown away. Please keep me posted! I share with you my letter to the editor in today's The Tuskegee News, http://www.frankdillman.com/political/maconcounty/docs/school-board/Tuskegee-response-to-Mary-Hooks.docx. Mary, I couldn't agree more. The way expenditures are grouped together in the state-level reports doesn't currently allow us to view expenditures this way. You have to dig down into the detailed reports to pull these numbers out. I have done these kinds of analyses for Hoover schools (my home district) and it is extremely difficult and time-consuming. I'm planning to build a new way to access these numbers. Moving slowly but surely. Thank you!